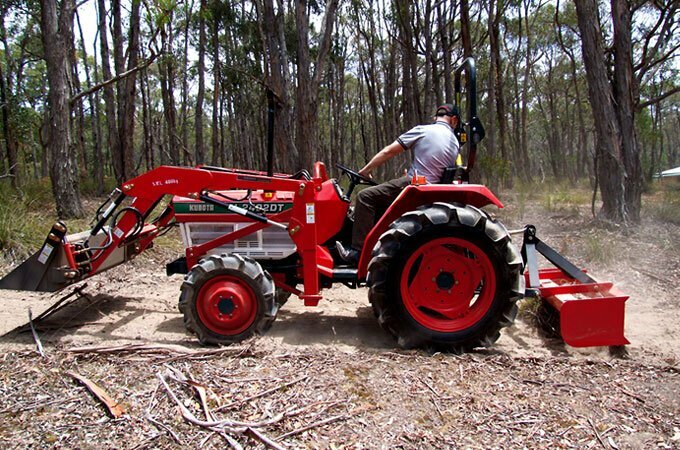 AGMAX Box Scrapers are used for ripping, grading and levelling of soil. Kubota L2402DT with box scraper grading with tines up – spreading soil while collecting debris. 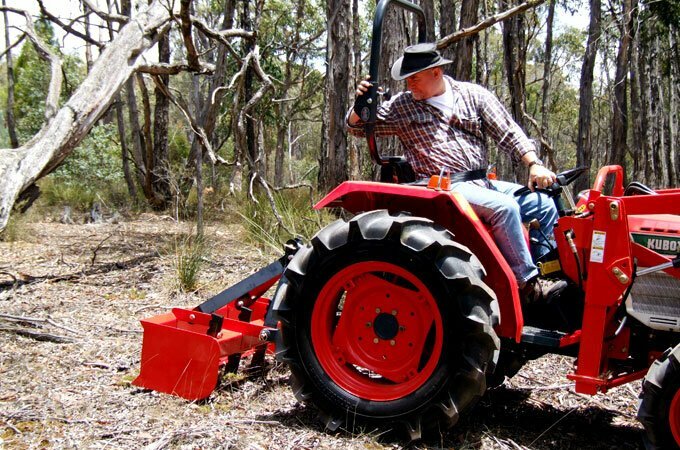 Scarifying/ripping – the heavy box frame enables the tines to effectively “bite” into the ground, minimising bouncing on hard ground. 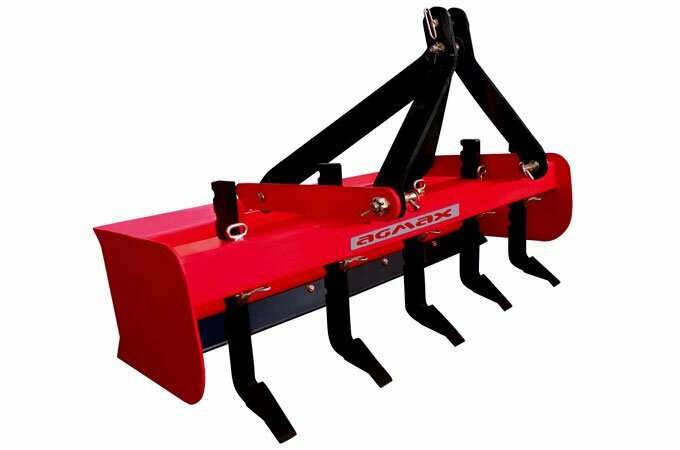 The AGMAX box scraper has a strong steel box frame for grading and a set of fully adjustable tines that can lightly scarify or deep rip, depending on your requirements. 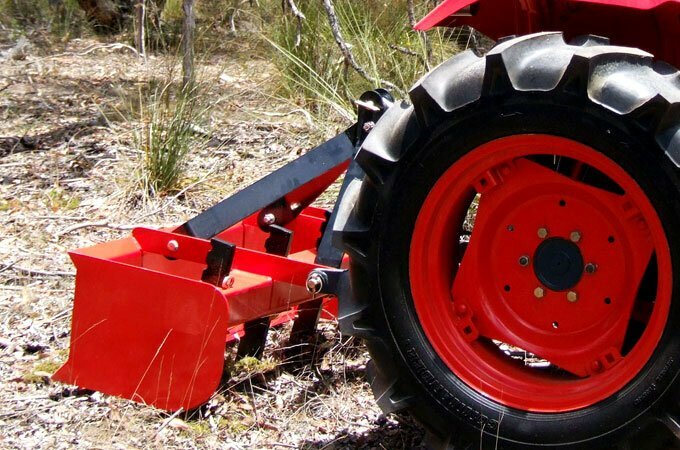 The rear blade acts as a conventional grader blade, however the added weight* of the box frame provides increased downward pressure and “bite” into the ground. The Box Scraper traps and redistributes the newly ripped soil while simultaneously collecting debris such as roots and plant matter within the confines of the box. A work area can be prepared and cleaned in one action, saving time. The rear blade can also be used as a grader when the tractor drives in reverse. The tines within the box are fully adjustable, either individually or as a set, to enable scarifying or soil ripping. They are easily removed or stored upside down inside the box frame. *The AGMAX box scraper is the heaviest in its class, on the market. The V500 is the largest AGMAX box scraper with 5 tines and a digging depth of 200mm (8″).